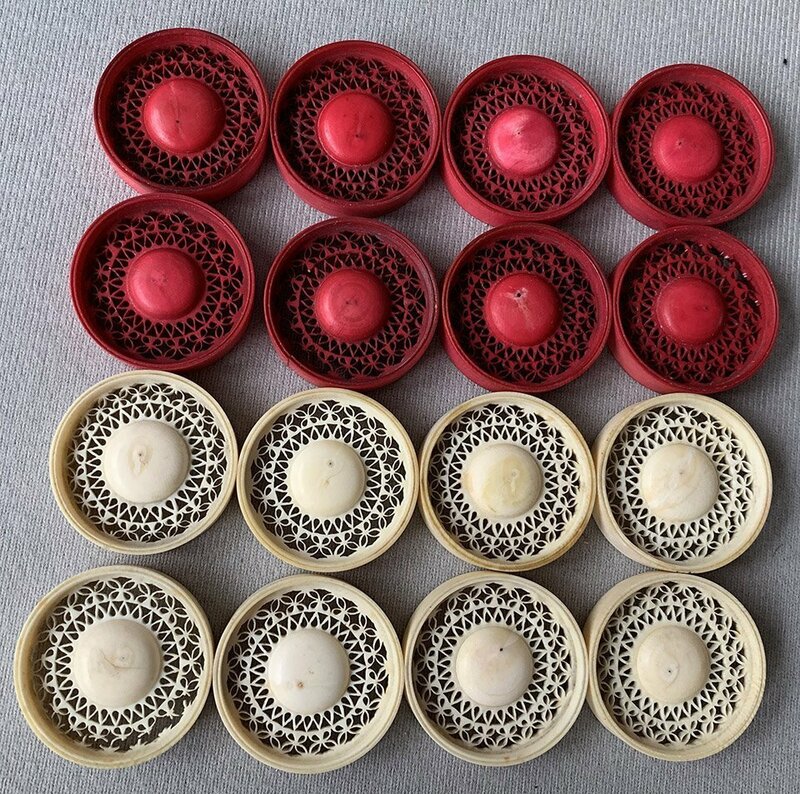 Antique Cantonese Burmese Disc Chess Set. 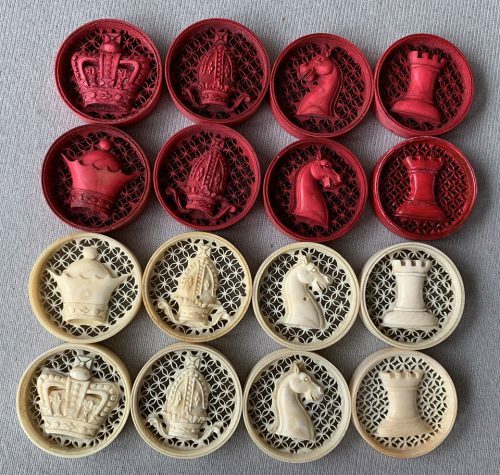 This offering is a Cantonese 32 piece Antique Burmese Disc Chess Set, natural and red-stained. The chess pieces feature symbols, commonly used for chess diagrams from that period, as the basis for the characters. The Pawns are represented by simple domes. 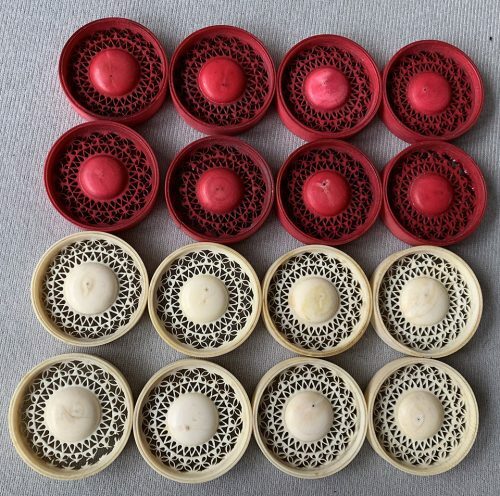 Each figure is supported by an intricate web of very fine lacing and is hand-caved from a single piece of ivory. 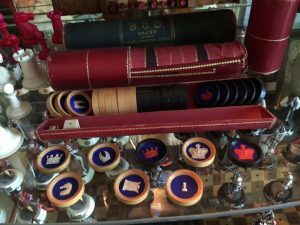 The individual Burmese Disc Chess pieces measure 1-1/2″ in diameter by 3/8″ thick.The chessmen are in excellent condition. The red stain is still strong and vibrant. 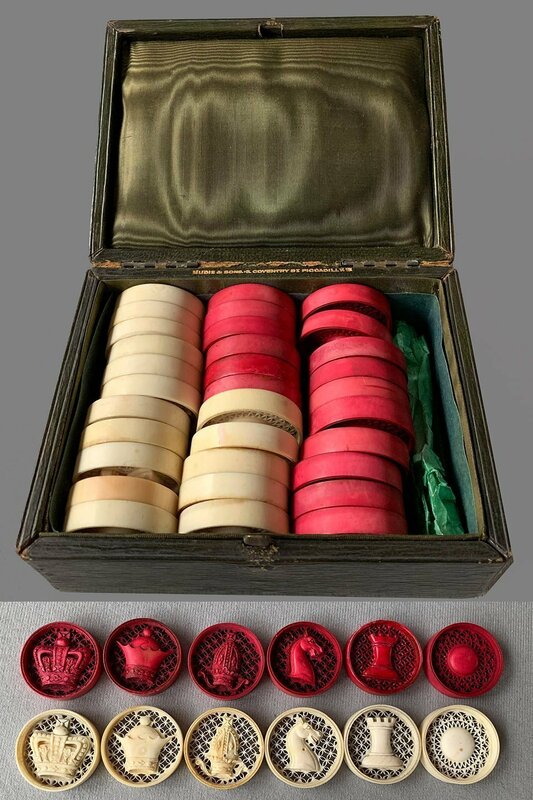 The chess pieces are housed in their original dark green leather hinge-top presentation case. 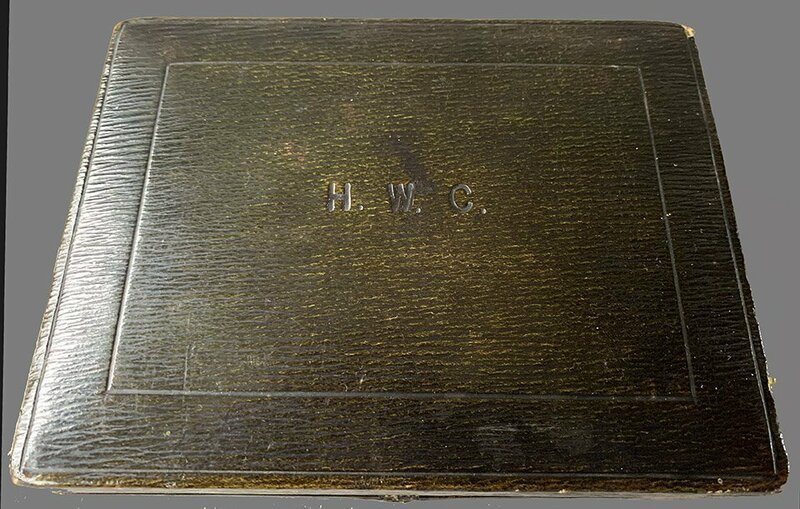 The case is marked H. W. C. on the lid and Mudie & Sons 15 Coventry St., Piccadilly along the inside of the spine. This Cantonese Burmese Disc Chess Set dates to around 1820. These Burmese Disc Chess sets were made in Canton for the European Market and probably sold in Macao which was the only place in China where Europeans were allowed to visit prior to the Opium Wars of the 1840s. 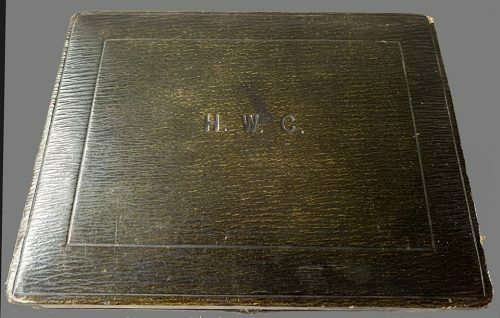 Several suitable antique chess boards are available elsewhere on this website. To view our extensive selection of new and antique chessboards, follow this link.